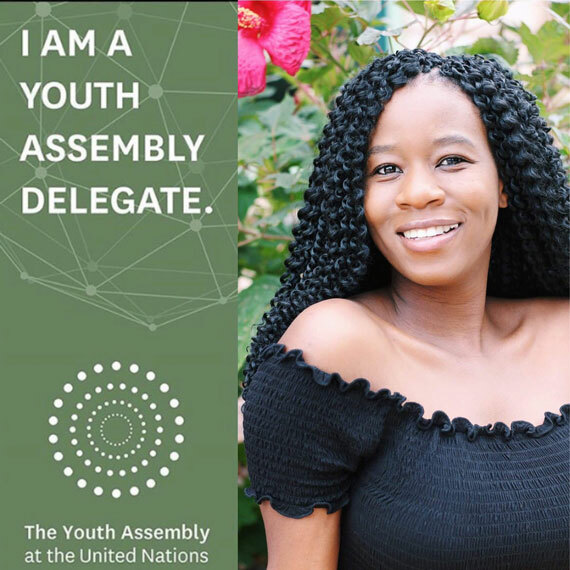 Rural Health Scholar Sipho Ncube has been selected as one of the global youth leaders attending the 23rd session of the Youth Assembly organized by Friendship Ambassadors Foundation at New York University this February. Southern Utah University student, Ncube hopes to participate in a Youth Impact challenge where she will present a proposal about two projects that incorporate the United Nations sustainable development goals about quality education, as well as good health and well-being. This year’s theme for the Youth Assembly is “Empowering Youth for Global Development.” Ncube plans to advocate for quality education by talking about disadvantaged yet academically gifted African students who are unable to pursue tertiary education because of financial constraints, as well as advocating for scholarship funding for them. She hopes to help them receive the same opportunities she has received. The goals she has are to network, create opportunities and obtain funding for students who want to attend cultural immersion trips cultural immersion trips RHS offers to help tackle rural health care challenges in third world countries. Ncube is a pre-medical student born and raised in South Africa, majoring in biology with a chemistry minor. She has always loved science and aspires to become a doctor involved in research. Her dreams of attending a United States medical school include hopes of becoming the voice of change by working for the United Nations to help implement policies that will ensure change in the world. Ncube is the vice-president for The African Union Club here on SUU’s campus, a Shriner’s Hospital Ambassador, and volunteers with the Community Engagement Center on SUU’s campus, helping with Bread and Soup night. She also volunteers at the Iron County Care and Share and is a recent member of the National Society of Collegiate Scholars, an honor society for students with high academics. She is also a member of the Student National Medical Association and the International Federation of Medical Students Association, both national societies are comprised of medical students from around the world who are helping to tackle various health issues in their respective regions. Growing up in rural South Africa, Ncube saw the health challenges people faced. She has hopes of leaving a legacy after graduating from SUU by mentoring SUU students about this program. Her spirit of volunteerism and mentoring continues when Ncube goes back to South Africa where she volunteers at hospitals, helps set up mobile clinics and spends her time helping at orphanages. Ncube is a member of the SUU Rural Health Scholars Program, which provides additional services for students interested in careers in health care. This program is available at Southern Utah University, Dixie State University, Snow College, and Utah State University-Eastern in Price. Services assist students in becoming successful applicants to medical, nursing, podiatry, dental, pharmacy, physical therapy and other health professions programs. Student applications are strengthened through a regimen of classes, seminars, community service, job shadowing, research and advisement. For more information about the Utah Center for Rural Health programs, contact Casey Lavoie at 435-865-8661 or visit the Utah Center for Rural Health website.